- Weld methodes: DC MMA, DC TIG, DC pulsed TIG, AC TIG, AC pulsed TIG. 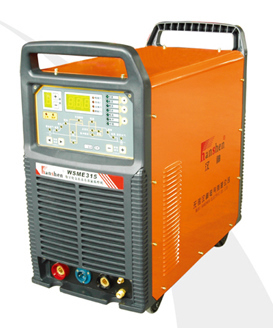 - Adopt micro computer technology, it can save 10 groups of usual welding data to convenient for operating. - Advanced soft switch technology and inverter technology make machine work more stable and more energy saving. New technology also makes the machine smaller and lighter. - AC square pulse, width of +/- half pulse, and AC frequency can be adjusted. - Easy to ignition, stable arc, and high welding quality. - Welding for aluminium, aluminium alloy, titanium, cooper and stainless steel, carbon steel.